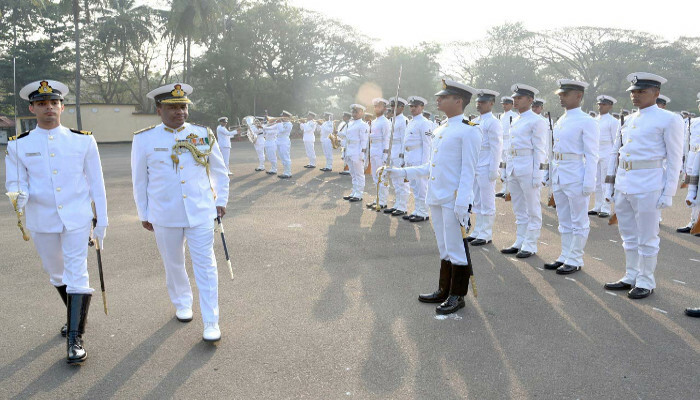 A batch of 11 officers of the Indian Navy, including two women officers, and six officers of the Indian Coast Guard graduated as “Observers”, at an impressive Passing Out Parade held on 02 February 2019 at the naval air station, INS Garuda, Kochi. 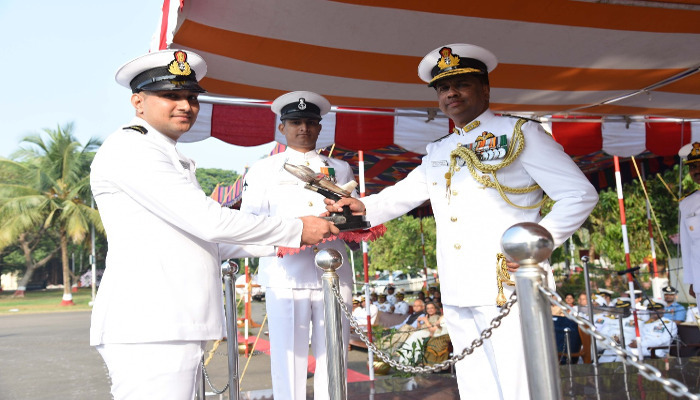 Rear Admiral Philipose George Pynumootil, NM, Flag Officer Naval Aviation (FONA) reviewed the parade and awarded the coveted ‘golden wings’ to the passing out officers. These officers belonging to the 88th Regular and 19th Short Service Commission Observer Course were trained in air navigation, flying procedures, tactics employed in air warfare, anti-submarine warfare and exploitation of airborne avionic systems. 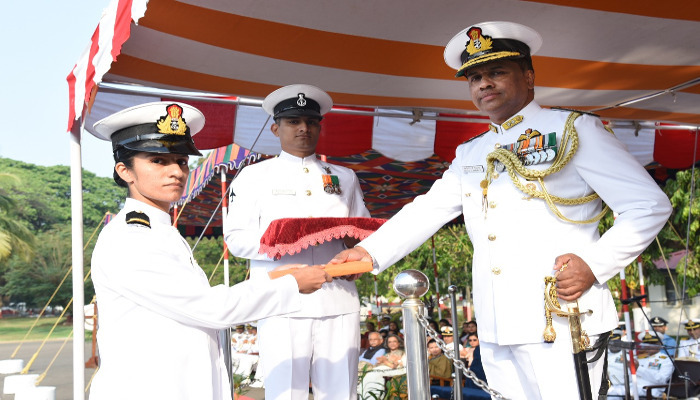 The officers would serve as the airborne tacticians of Maritime Reconnaissance and Anti Submarine Warfare aircraft of the Indian Navy and Indian Coast Guard. The occasion also had five experienced “Observers” graduating as Qualified Navigation Instructors (QNIs). The QNIs were trained in instructional techniques to be applied both on ground and during flying, as well as provided in-depth knowledge of tactics and sensor exploitation. 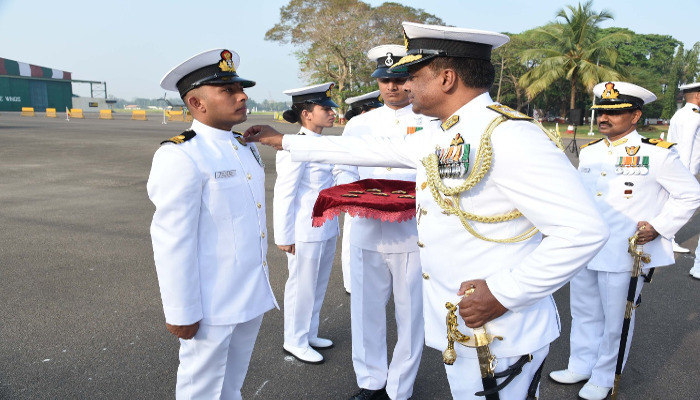 These officers would now serve as Instructors at the Observer School before proceeding to take up operational assignments at various frontline naval air squadrons. The successful QNIs were also awarded the ‘Instructor Torch’ by FONA. Assistant Commandant Pushpender Kumar Upmanyu from the Regular Observer Course was awarded the Uttar Pradesh trophy, the Flag Officer Commanding-in-Chief, Eastern Naval Command Trophy and the SLt RV Kunte Memorial Book Prize on being adjudged 'first in overall order of merit', ' best in flying' and ‘Best in Ground Subjects’ respectively while Sub Lieutenant Apoorva Sharma from the SSC Observer Course was awarded all the three book prizes for being adjudged ‘Best in Overall Order of Merit’, ‘Best in Flying’ and ‘Best in ground subjects’.